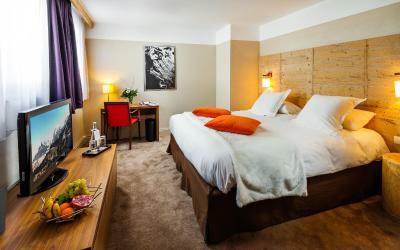 Lock in a great price for Hôtel l'Aigle des Neiges – rated 8.9 by recent guests! 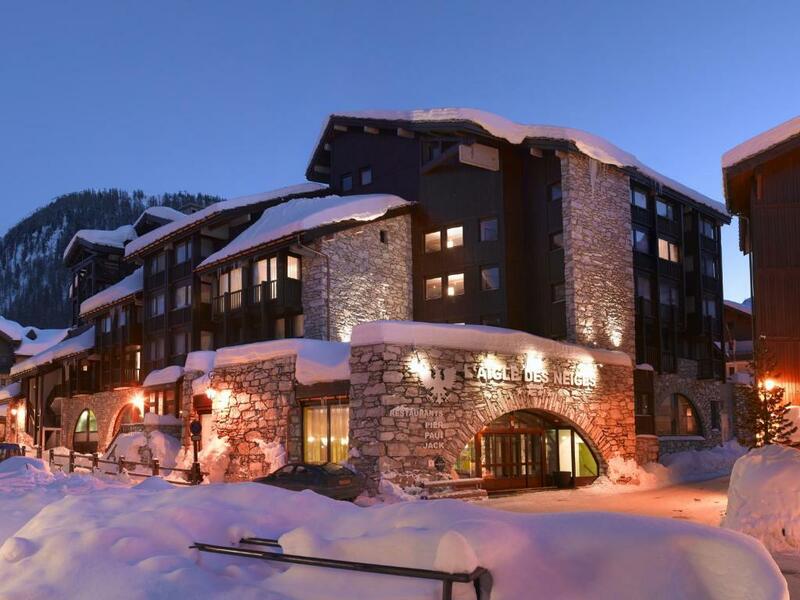 Close to the slopes and in the heart of the mountain village. A great, practical hotel. We got what we expected and check in and check out were very easy. Fantastic location! 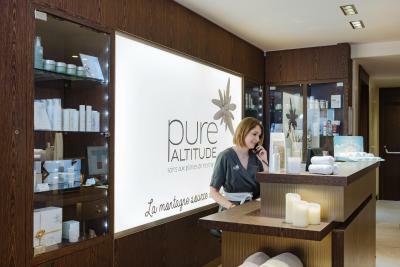 Very service minded and friendly staff. 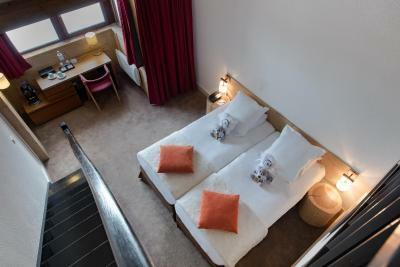 The hotel offers a variety of services that make a skiing holiday enjoyable, pleasant and efficient: Ski rental and storage downstairs, close to lifts and slopes, super spa area with heated pool, great bar and two restaurants. We were upgraded from deluxe to junior suite when we arrived. 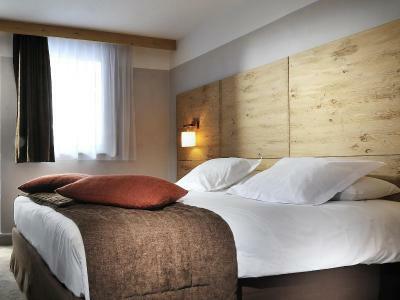 Location is perfect, in the village center and takes just 2 min. to walk to the ski school meeting point. Ski rental available in the hotel, which was very convenient and the staff were more than helpful. I checked other hotels around. 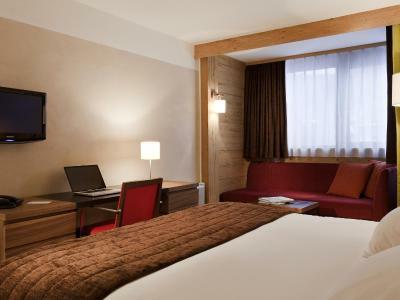 I didn’t see another hotel closer to the slopes with a cozy and modern interior at the same price category. Definetely value for money. We left 5 am in the morning, they prepared huge breakfast bags for us, which was very nice too. relaxed atmosphere, friendly and very helpful staff and breakfast was excellent with plenty of options. The breakfasts were superb. Location was excellent - only 50 yards from the pistes. 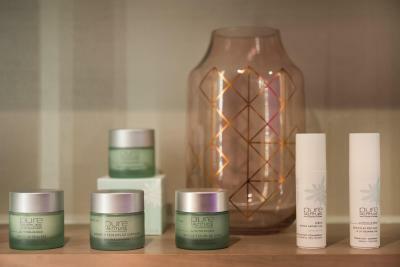 Staff were also amazing and extremely friendly and helpful. A very consistent hotel, right by the lifts. All staff friendly and trying hard. Very comfy bed!! Staff attentive and professional. House keeping twice a day. Offered us to give a ride to the bus station with a lot of luggage. Satisfied special request for Breakfast. Ski hire and shop in the -1 floor, they were very helpful. Pool and Spa. Early arrival by us, reception did all what they could to try to get us into the room earlier that the check in time. Very good service with luggage on arrival and departure. Hotel takes dogs. 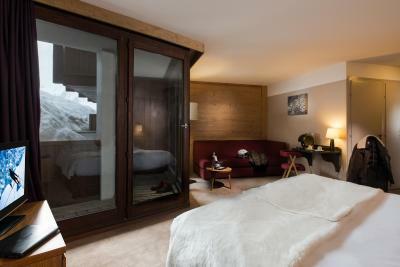 One of our best sellers in Val-d'Isère! L'Aigle des Neiges is a luxury hotel located 5,906 feet high in the heart of the old village, very close to the slopes and Espace Killy Olympic downhill ski area. 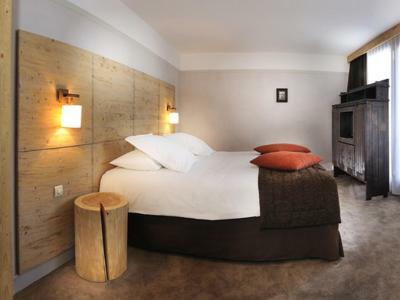 Housed in a traditional alpine building, the Hotel L'Aigle des Neiges offers spacious guest rooms with modern comforts and a stylish decor. They include a mini-bar, flat-screen TV and private bathrooms. 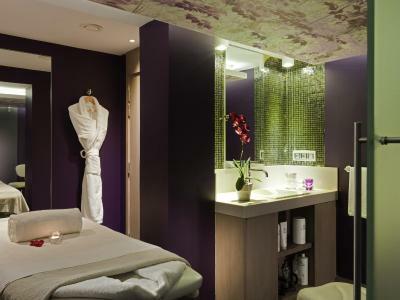 After a long day’s skiing, relax in the spa area, which features a sauna, steam room, and beauty treatments. 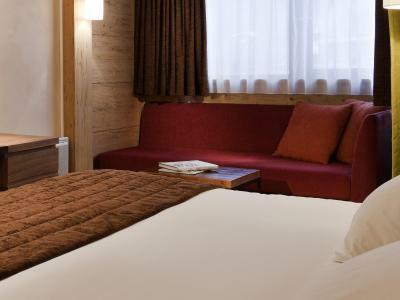 Enjoy Savoyard gourmet and innovative cuisine in one of the 2 restaurants, or have a drink next to the cozy fireplace in the bar. 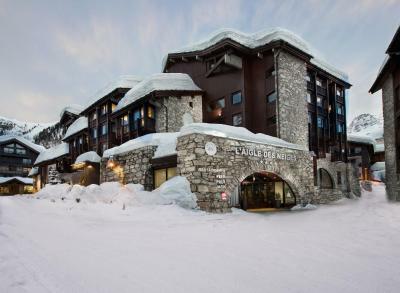 The Hotel L'Aigle des Neiges also features free WiFi. Charging stations for electric cars are available at this property. 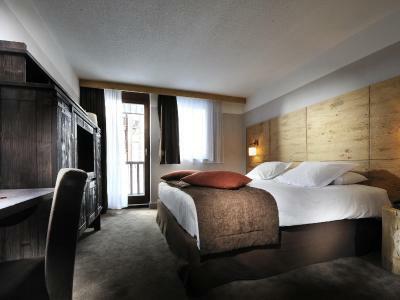 When would you like to stay at Hôtel l'Aigle des Neiges? This room has a balcony and a flat-screen satellite TV. 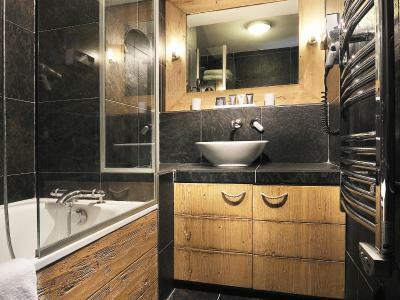 It has a private bathroom equipped with a hairdryer and a separate toilet. 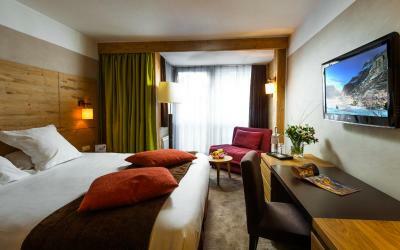 A bathrobe, slippers and toiletries are provided for guests comfort. 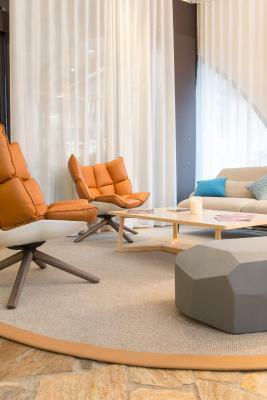 This more spacious room offers a seating area with a sofa. This room can accommodate 1 additional child under 12 years in an extra bed upon request. A flat-screen TV and a mini-bar are available in the room. 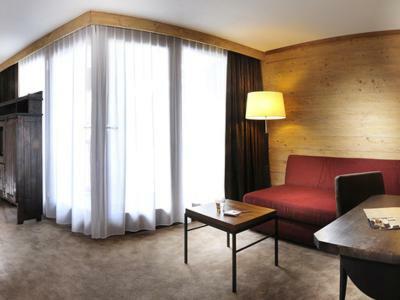 A flat-screen TV and minibar are available in this room. 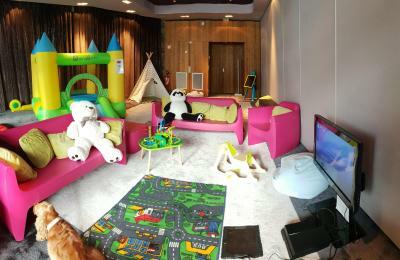 This room can accommodate 2 adults and 2 children under 12 years old. 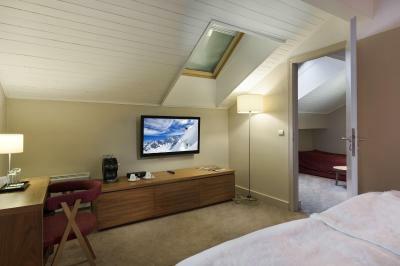 The room has a mezzanine level and a flat-screen TV and a minibar. 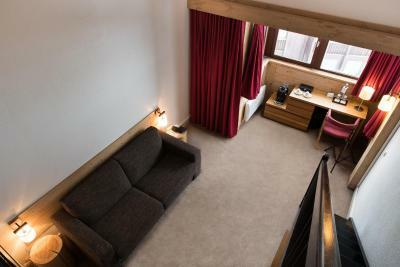 Offering a balcony, this suite features a living area with a sofa bed, a separate bedroom and 2 satellite flat-screen TVs. 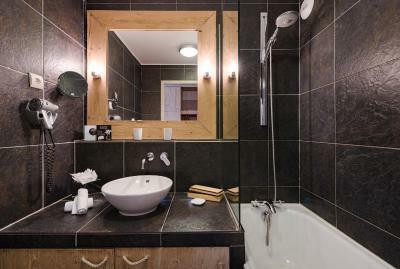 The private bathroom comes with a double washbasin, bathrobes, slippers, a hairdryer and Cinq Mondes free toiletries. There is a separate toilet. Extras include a Malongo coffee machine. Please note that the sofa bed can accommodate 2 children or 1 adult. 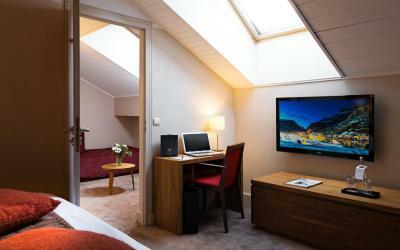 This room features a pull-out day bed, a separate bedroom, a satellite flat-screen TV and Velux skylight windows. 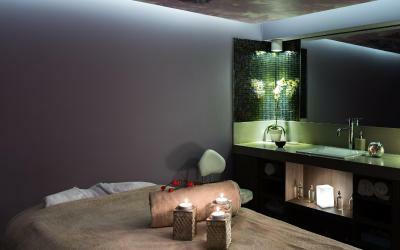 The private bathroom comes with bathrobes, slippers, a hairdryer and Cinq Mondes free toiletries. There is a separate toilet. Extras include a Malongo coffee machine. 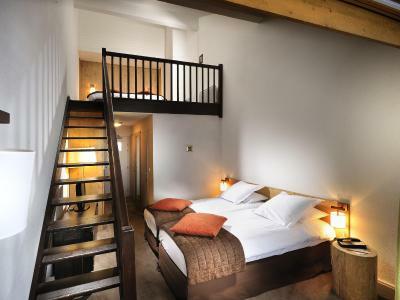 Please note that the day bed can accommodate 2 children of 12 years and younger. 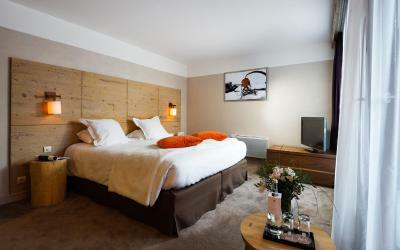 House Rules Hôtel l'Aigle des Neiges takes special requests – add in the next step! 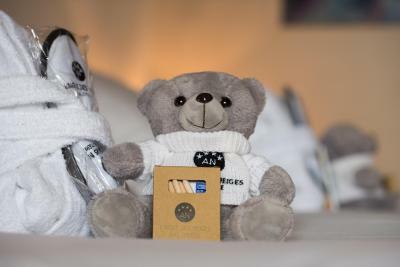 Hôtel l&#39;Aigle des Neiges accepts these cards and reserves the right to temporarily hold an amount prior to arrival. Hôtel l'Aigle des Neiges accepts these cards and reserves the right to temporarily hold an amount prior to arrival. Mattress a little hard. Expensive restaurants. Lovely breakfast, lots of choice. Very friendly and helpful staff. Excellent location. Very helpful staff. 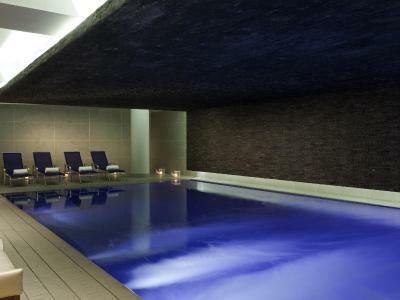 Lovely pool. Just to find something that I did not like is difficult. 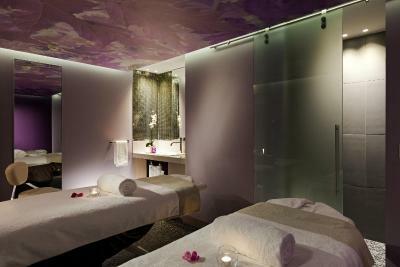 I would have liked to have a 2-3 massages, but I felt these were over priced comparing to UK prices. Possible in line with other places in the area, but for me were expensive ( I would have paid for them if each were at least £20 cheaper from the stated price). There is a very small charity payment that is added to the bill per day, I would have preferred to being asked instead of have to ask what was that on the the bill, as it was embarrassing to have to ask to have it removed, because we do have our own charities that we already help, I appreciated that they organised a fund for this charity. It was removed without any further asking. Some bits are slightly aged but really doesn't detract from the lovely place. Having to carry skis up and down the stairs at the beginning and end of the day. Great position near lifts. 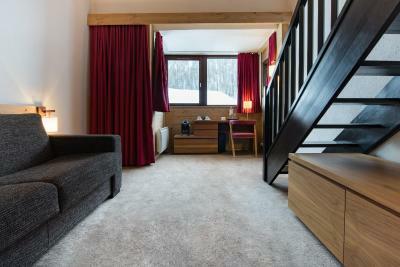 Has own ski hire and storage facility with extremely helpful staff. 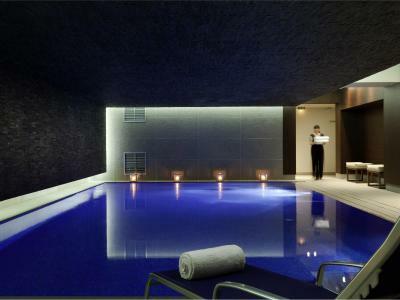 Spa facilities excellent with nice pool. Hotel has warm and friendly feeling and an excellent breakfast. Would definitely stay again. Nothing, its a great hotel. The position of the hotel in the resort is excellent, there was always an abundance of staff to assist you, and they wanted to help too. The ski & boot room staff were brilliant. Spa was nothing but disappointing. Not worth the premium price. Location is good. Ski shop staff super helpful. Breakfast was plentiful. Rooms was just about big enough.